Temporary Closure of Footpath 326/3 (Radley Parish) – which runs north between Kennington Road and Sandford Lane, Kennington. Unfortunately, S & SE Power Ltd only informed OCC of the postponement on 19 May, which was seven days after the works were due to start (12 May). Further information regarding the works may be obtained by contacting Ben Thomas of S & SE Power Ltd on 07464 485 546. 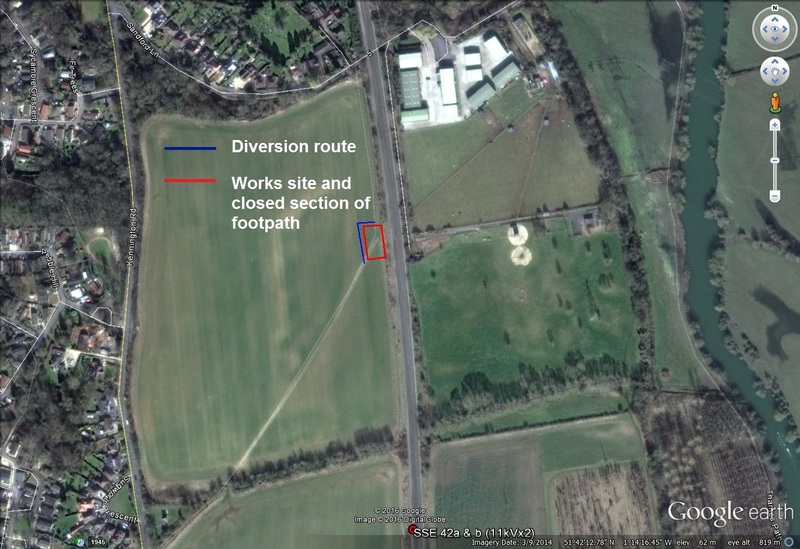 S & SE Power Ltd has applied for a temporary footpath closure to apply to a section of Footpath 326/3 whilst essential electrical supply pole construction works are carried out. 12 May 2016 for 3 weeks. (The maximum duration of a TTRO on a footpath is 6 months, or until completion of the works, whichever is the earlier.